Are you still reading this nonsense? LOL, ok. Since the last update lots has happened – not least a three week sojourn in France while the UK has gone utterly bonkers. Again. Then all the bricks were down and the underlay went on. 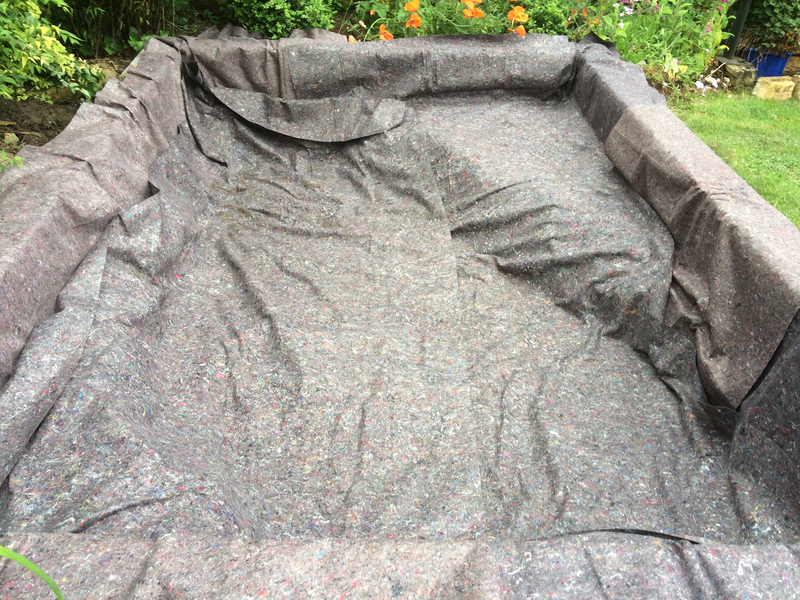 As you can see, along with my flying skills and mortaring excellence I can also lay carpets… This is the better quality underlay from Pondkeeper supplies, which was on offer at half price with the pond liner itself. 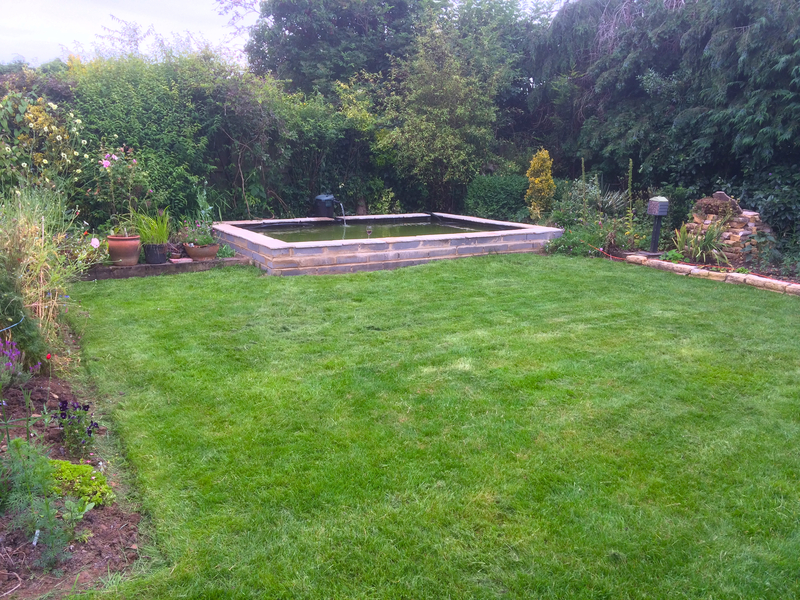 Finally, the liner went in and the water followed. 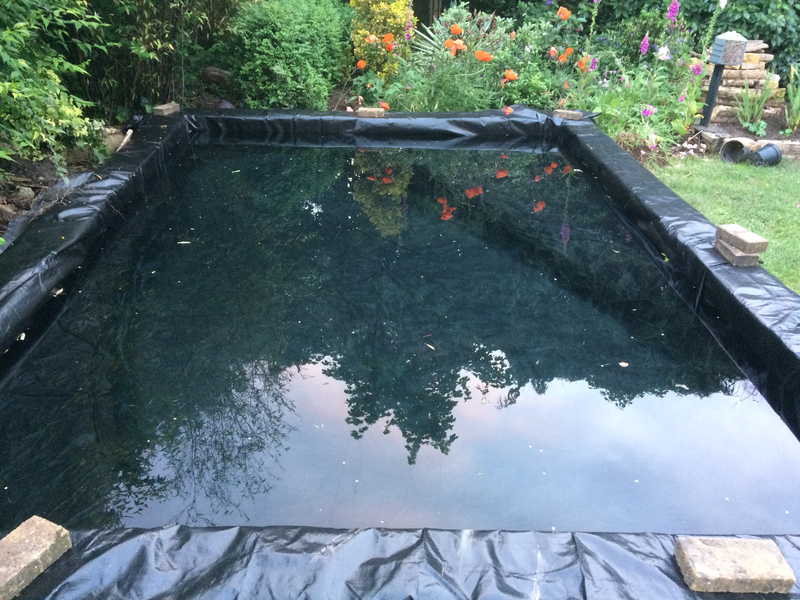 It took a few hours to fill and I estimate the pond holds between 11,000 and 12,000 litres. 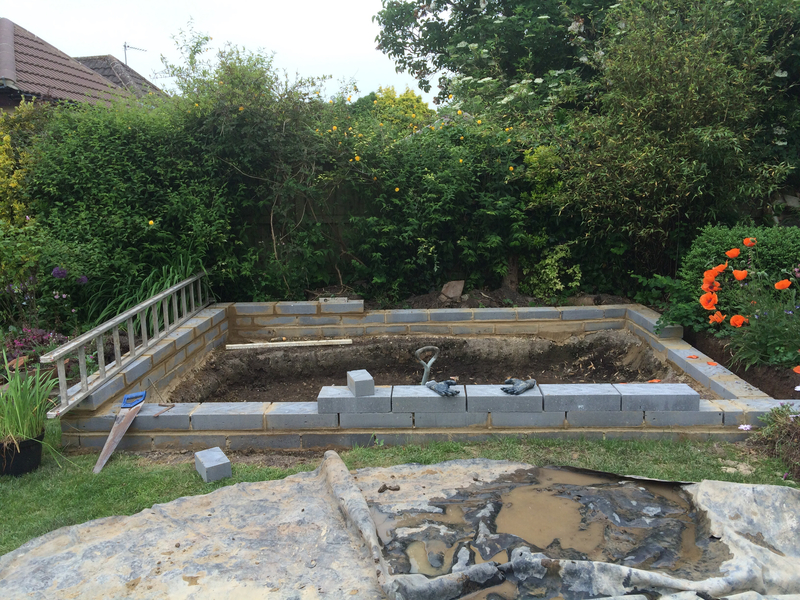 It would have been more if I could have cut a deeper base without worrying about rubble and gas mains. Of course, filling it and leaving it unfiltered for three whole weeks was… rash. We came home this week to a lovely lime green pond full of mosquito larvae. Ah well. I used some flocculant to clump up the green algae and then dropped in the pump and filter from the holding tank – this may prove to be too small for this new larger pond – and then introduced the fish. In only one night the mosquito larvae were largely gone!